I am particularly proud of this young rider. 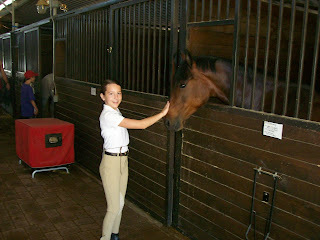 She has a great work ethic and focuses every emotion into her riding. 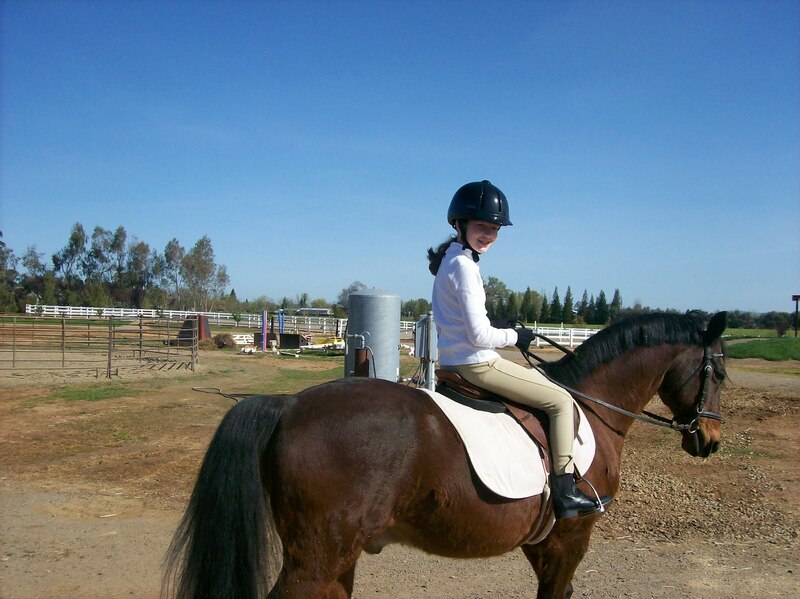 She started out as a hesitant rider and had a hard time trusting the horses. After a lot of hard work, dedication, and Khan, she has shown me that she is one of my intermediate riders. She can get her horse completely ready for a lesson. Including; putting the bridle on and saddling with no help at all! She is also already cantering in her lessons. She is always ready to ride with the appropriate riding gear, and her hair neatly back. I never have to remind her to wear her gloves or get her hair out of her eyes: tidy = style for Megan. Her attention to detail is refreshing and it is a complete joy to have her as my student. To sum up Megan, I would have to say, "Clean boots, a can-do attitude, and a smile."